This item is in stock and ready to ship! 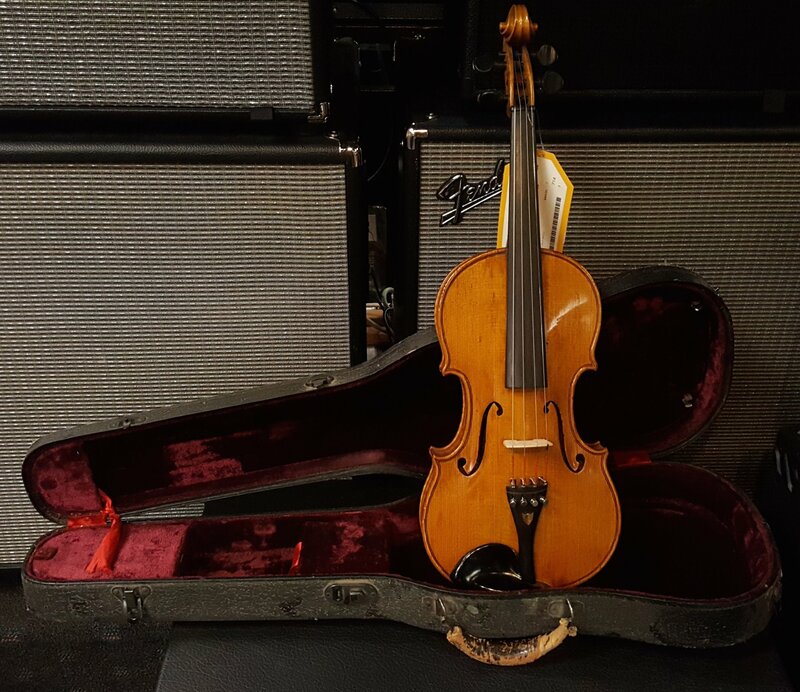 Vintage 1920 Carlos Micelli violin with Spruce top and highly figured Flame Maple back and sides. Includes hardshell case.